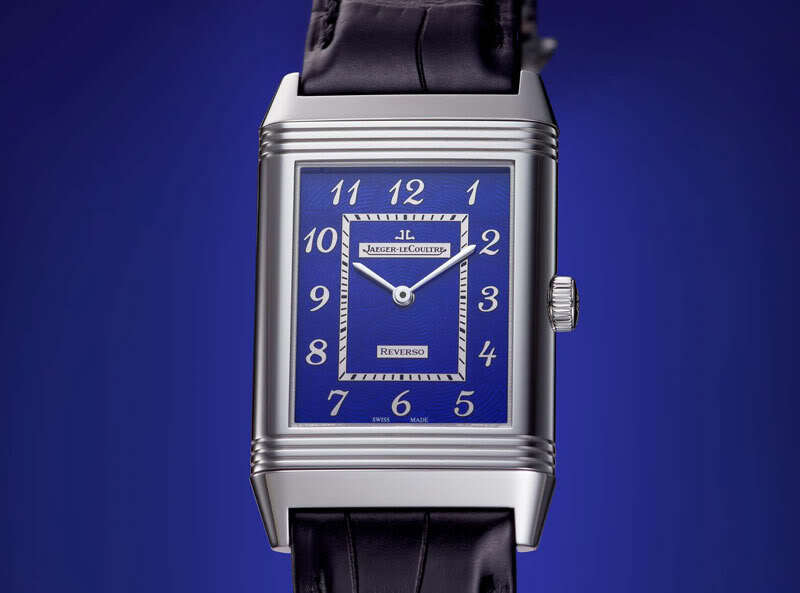 When talking about iconic watches, the Jaeger-LeCoultre Reverso will always come into the conversation because frankly, this watch is a proper historical monument. 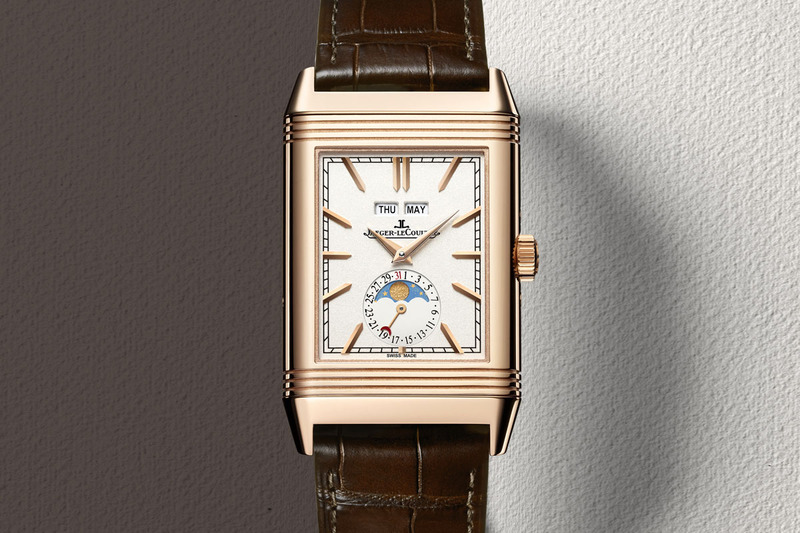 This watch, which we explained to you here, was created in 1931… Meaning that 2016 will be its 85th anniversary, a jubilee that Jaeger-LeCoultre will celebrate by introducing several new editions, including two “Tribute” ones. Here are the Jaeger-LeCoultre Reverso Tribute Calendar and Reverso Tribute Duo (and the rest of the novelties to follow later this week). 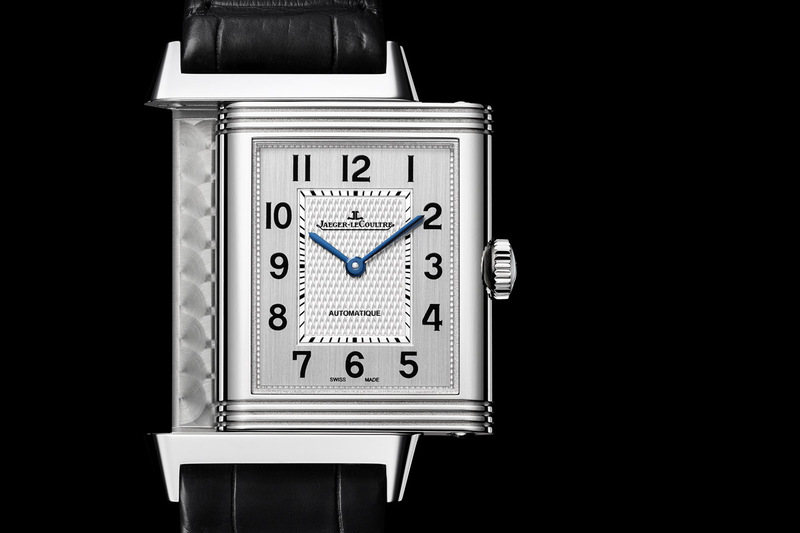 The first of the SIHH-2016 novelties is the Jaeger-LeCoultre Reverso Tribute Duo. Behind the name “Tribute”, Jeager-Lecoultre intends to create watches faithful to the early editions manufactured in 1931 and the following years. 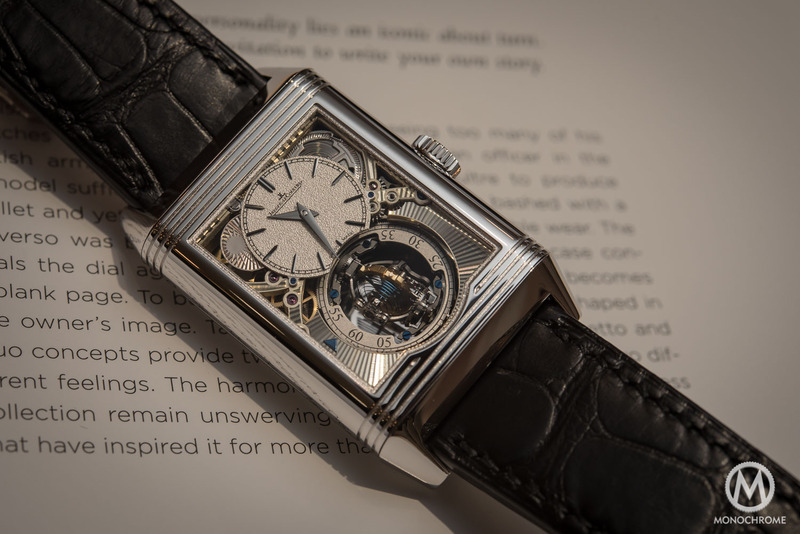 The best example of this sub-collection was the Reverso Ultra-Thin Tribute to 1931, an edition almost identical to the very first Reverso created and that even our own editor-in-chief owns for a few years now (just to say that, yes, it’s very good). For this 2016 edition of the SIHH, the new “Tribute” edition keeps its same classical / historical look but with more complication and a contemporary attitude. More complicated because of the Duo-Face conception. 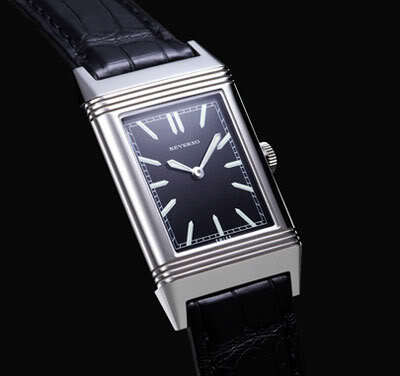 As you know, the main feature of the Reverso is to have a reversible case. Thus, why not using the second face of the watch to display a second dial. 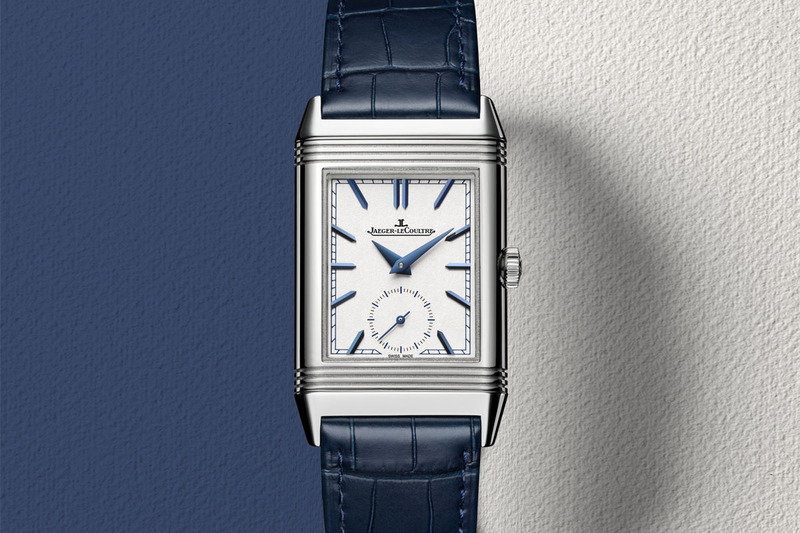 On this Jaeger-LeCoultre Reverso Tribute Duo, the main dial, with its silvery white color and its blue baton indexes and hands, tells the time only (via 2 central hands and a small second at 6). 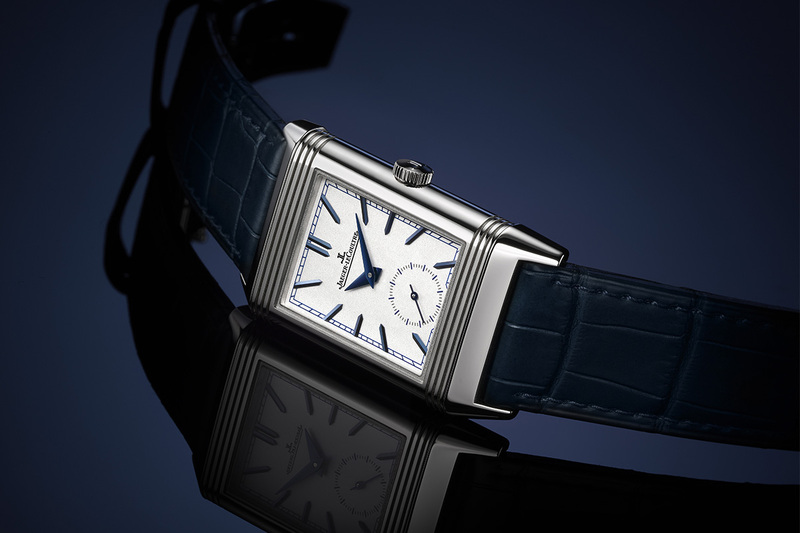 The second face of the Jaeger-LeCoultre Reverso Tribute Duo displays a second time-zone and a day-and-night indicator, via a blue guilloché dial with silver hands and indexes. This apparently discreet watch (when worn on the main dial) is in fact a very practical traveler’s watch when flipped on the other side. The day-and-night indicator even allows you to know if people living in this second time-zone are awake or not. The stainless steel case is 100% in the vein of the rest of the collection and measures 42.8mm x 25.5mm x 9.15mm. On paper, this Jaeger-LeCoultre Reverso Tribute Duo (like most Reverso watches) is a small one but it will have the same aura as the rest of the collection and a great elegance. 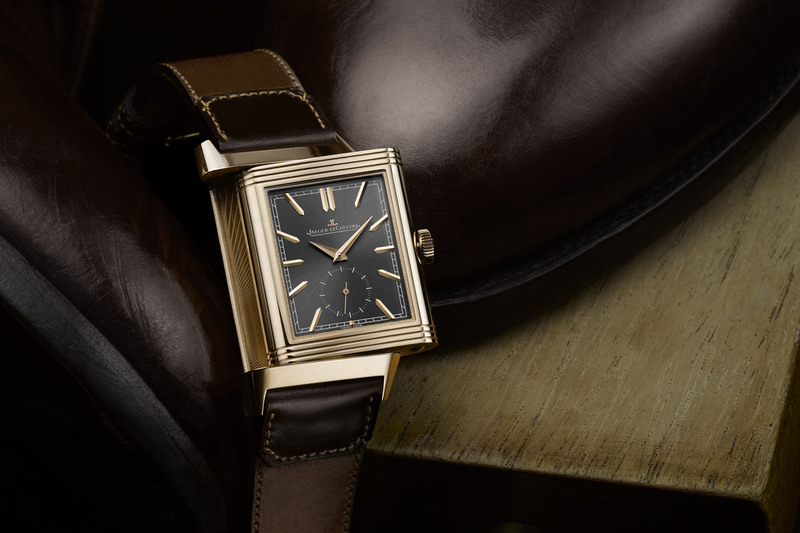 The Jaeger-LeCoultre Reverso Tribute Duo is powered by the manually-wound, Jaeger-LeCoultre Calibre 854A/2, an interesting and well finished movement, with 45 hours of power reserve. Its 3.8mm thick allows to keep this watch at a very slim profile, even considering its 2 dials and sets of hands. 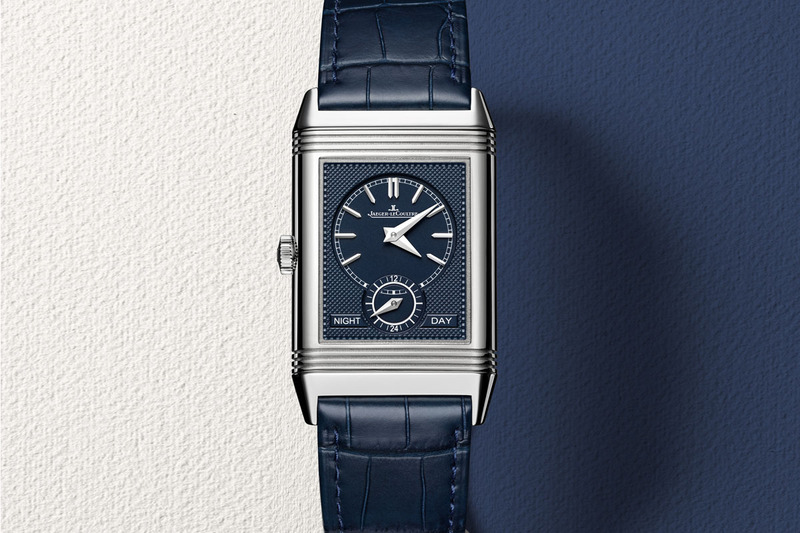 Once again, Jeager-Lecoultre uses the unique conception of the Reverso to bring another Duo-Face edition, always with the same “Tribute” feeling, the Jaeger-LeCoultre Reverso Tribute Calendar. 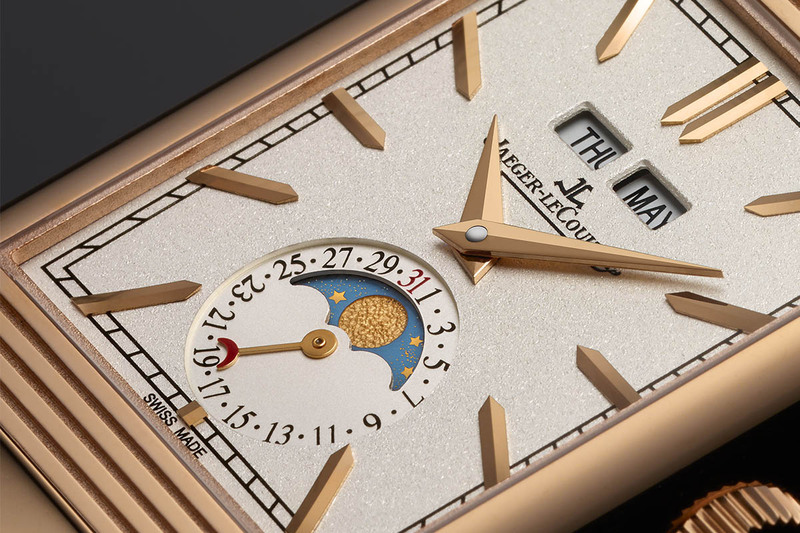 To the complications explained with the previous one, this edition adds a calendar function that displays, on the main face, the date and the moon-phases (in a sub-dial at 6) and the day of the week and the month (in two windows over the logo at 12). The integration of these functions is very balanced and the entire design remains very light and faithful to the Reverso spirit. The other side of the Jaeger-LeCoultre Reverso Tribute Calendar exposes a second time-zone dial and a day-and-night indicator, this time displayed via a rotating disc with the sun and the moon depicted. While the main face has a silvery-white dial with gold indexes and hands, this second face features an anthracite guilloché dial with gold details. 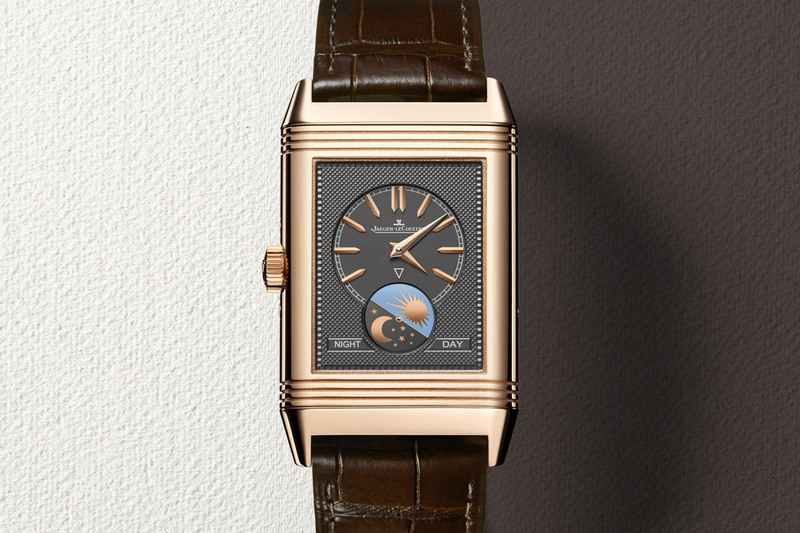 The Jaeger-LeCoultre Reverso Tribute Calendar will be available in a 18k pink gold. Considering the extra-complications, the case is larger at 49.4mm x 29.9mm x 12.06mm (that is again rather small considering the two dials and the calendar functions). It features the manually-wound, Jaeger-LeCoultre Calibre 853 – basically, the calendar edition of the one explained just before. Prices for these editions are not yet revealed but due for the SIHH 2016. We’ll go back on these watches in upcoming hands-on in January, once the Geneva fair started. Stay tuned, cause the rest of the Reverso novelties will follow later this week. More on www.jaeger-lecoultre.com.